This will revolutionize pocket holsters. Never before has there been a material this viscous. It is so sticky it's almost like fly paper. 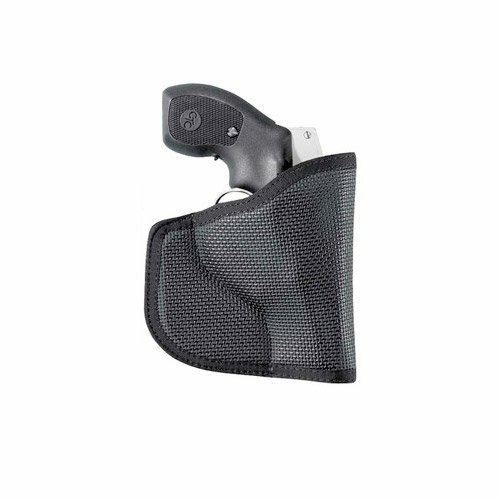 This pocket holster will absolutely not move out of position in your front pocket. The inside is made of a slick pack cloth for a low friction draw, and the core is just the right amount of foam to break up the outline of the gun. Available in black. If you have any questions about this product by DeSantis Gunhide, contact us by completing and submitting the form below. If you are looking for a specif part number, please include it with your message.